Belmont University’s Office of Alumni Relations and Office of Career & Professional Development recently piloted a partnership program that aims to gather alumni and current students for an intimate conversation about career life. Although Belmont often invites alumni to campus to speak at convocations and large lectures, there was no existing program that allowed conversation to take place in a small and interactive setting. The sponsoring offices hope this new program, called “Career Conversations: Bruin to Bruin,” will provide a more engaging opportunity for alumni to share their experiences with students who are studying their industries. 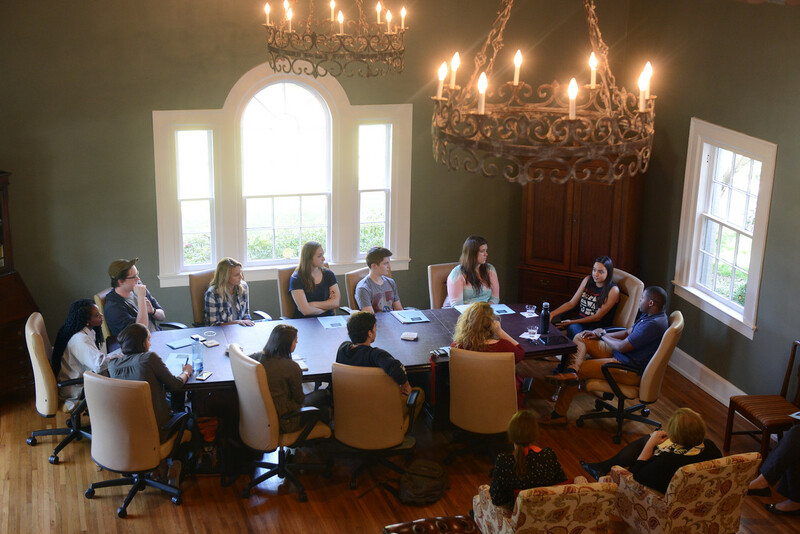 Career Conversations held its pilot roundtable on October 24 in the Foutch Alumni House with a focus on the entertainment industry. 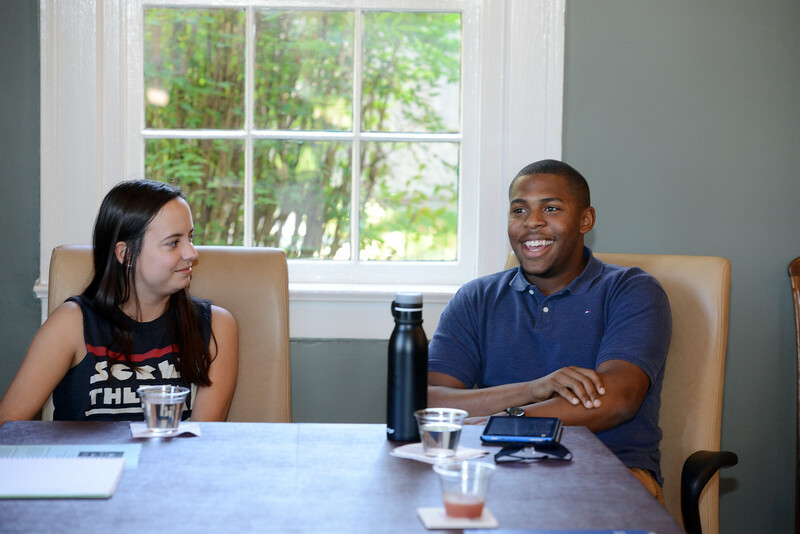 The conversation was led by alumni Emilija Clark (2014) and Kristoff Hart (2016) who both represented the company Made in Network, a video media organization that stresses the importance of creators making a presence on YouTube. Made in Network has YouTube certifications in both Audience Growth and Advanced Digital Rights Management and accumulates over 70 million views a month. Clark is the current director of strategy and Hart is the manager of client services. A second segment in the series was held last night focused on the public relations industry. As the “Career Conversations” program continues in its initial development phase, the offices hope to expand the roundtables to include industries based on student interest. The role of the Office of Career & Professional Development is to help determine what topics students are interested in and invite them to participate while the Office of Alumni Relations extends the invitation to alumni and gives them the opportunity to share their story. Students interested in this experience should watch for opportunities communicated by their academic department as information is made available.